This gown gives off boohoo glamour vibes. 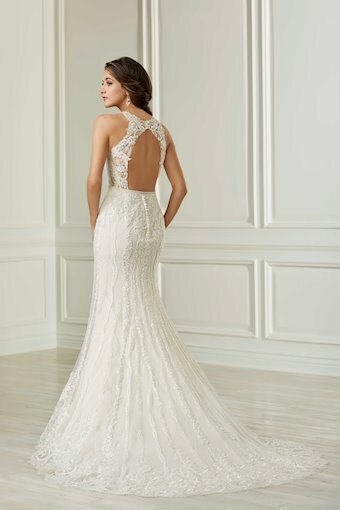 A V neckline is made of lace appliques that trail to the back to create a sheer keyhole back. 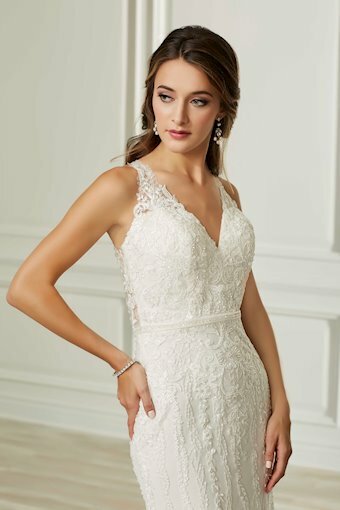 A beaded belt wraps around the waist. 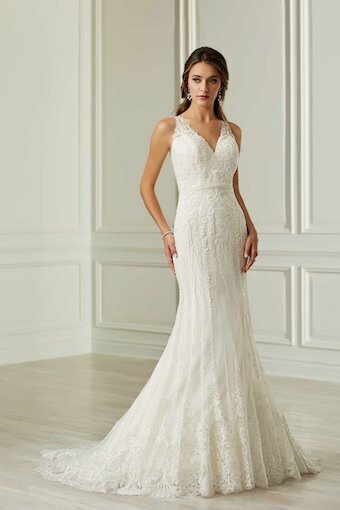 Linear lace trails on the skirt while a dramatic lace border finishes the hem.